A few weeks ago, Quiet and Safe San Rafael (QSSR) published the claim that 79 units per acre, zoned for potentially proposed for in Terra Linda*, is more dense than Manhattan or Hong Kong. Though they are technically correct, QSSR wildly misinterprets the concept, the data, and ignores the density already in our midst. A density limit in Marin restricts how many units can fit on the parcel as measured in acres. 2 units on a quarter-acre parcel works out to 8 units per acre (2 divided by 0.25 equals 8). This doesn’t include the street, parks, commercial development, or anything else beyond the building’s parcel. I don’t know how Hong Kong does their density limits, but Manhattan doesn’t usually have per-unit density limits. Instead, New York limits how much floor area a building can have (a measure called floor-area ratio, or FAR, if you’re wondering). Again, this is based on the parcel, not the supporting infrastructure or all the other buildings. The danger with measuring densities at a municipal level, as QSSR has done with Manhattan and Hong Kong, is that it does include all the rest of the city. It’s like measuring the size of a house and calling it all a bedroom. It is disingenuous to compare that to the parcel-based densities used by San Rafael. So while it’s true that Manhattan averages 58 units per acre, higher than Terra Linda’s allowed 79, that includes Central Park, Times Square, the avenues and streets, the docks, ferry terminals, office buildings, plazas, schools, police stations, City Hall, the UN, the New York Stock Exchange, and all the other things that aren’t housing on that island. Midtown Manhattan? Or senior housing in San Rafael? Image from Google Maps. That’s ridiculous. Using San Rafael’s measuring system, a 20-story tower in Manhattan would average to 800 units per acre, far and away higher than Terra Linda’s 79. 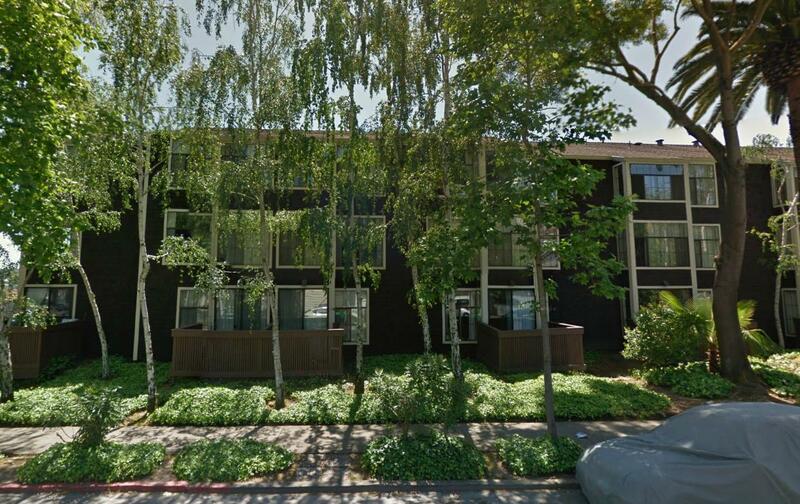 There’s a three-story senior home, San Rafael Commons, that hits 90 units per acre. Is it “more dense than Manhattan”? Not in any meaningful sense. This exposes the danger of using density as a proxy for character, as it doesn’t measure anything about that. Character comes from a building’s form: how tall it is, how far back it’s set from other buildings or the street, etc. A single-family home can fit a second unit in the back, which doubles the parcel’s density. A three-story building could be filled with two-bedroom apartments and be low density, or be filled with studio apartments and be high density. It wouldn’t change the building’s visual impact. Whether QSSR tried to be deliberately misleading or not, it is clear they are trying to stir up fear of tower blocks along 101. There are legitimate things to worry about in Plan Bay Area and legitimate things to critique. It’s truly unfortunate this activist group has chosen to focus on the ridiculous instead. *Update and Correction: The intro misstated the current zoning and planned zoning and density around the Civic Center SMART station. Current zoning tops out at 43 units per acre, depending on where one looks. San Rafael’s Station Area Plan calls for densities “above 44 units per acre”, while the proposed Transit Town Center PDA calls for zoning to accommodate 20-75 units per acre. QSSR’s number comes from the average of all PDAs in the Bay Area, which is not applicable to any individual PDA like the Civic Center area in Terra Linda. When (if) Plan Bay Area is approved and enacted in June it opens the door and encourages this to occur and uses highly effective transportation and housing grants to achieve this. It’s the plan that’s being ridiculous proposing fitting so many into such small land spaces (and both of us would surely agree on this). This seems like a negotiating tactic, set out asking for Manhattan densities, settle for something in between, but anyway you look at it it’s urbanizing Marin. Why start out asking for Fremont densities if you know you’ll be negotiated down? You are working from a different methodology. One might argue over precise details. Ultimately you and I agree -people should not be afraid of high rises, what’s being proposed are 5 story mid-rises, and I think this remains a significant concern for some. This underscores the preposterous growth and concentrations of Plan Bay Area. The outcome is the same – any way you slice it what’s being proposed is an urbanization of Marin. 1) The Burns study didn’t do what you said. It took the published draft densities from Plan Bay Area and put them into a chart. 2) I’m applying the methodology used by Plan Bay Area to numbers created by Plan Bay Area, just as Burns is. Unlike me and Burns, QSSR changes the units. You can’t just say that 12 feet equals 12 meters and say that’s a “precise detail”. I think you make a good point about the fallacy of comparing a whole municipality to a per parcel density. You are correct that it is a dissimilar unitary comparison and inaccurate. Of course, much of Plan Bay Area, Smart growth, mass transit, Priority Development Areas, population studies also uses “statistical hocus pocus” to achieve desired outcomes too. Perhaps instead of generating statistical nonsense to counteract what it thinks is the other side’s statistical nonsense, QSSR could actually counter the other side. That way it would actually gain the higher ground instead of sounding, at best, like it doesn’t grasp the basics of planning. Then again, perhaps it’s deliberately trying to mislead, in which case it would very deservedly lose all credibility as a watchdog group. Dave let’s start with the fundamentals – yell if you see anything that’s incorrect and build this out to a common implied end state. The Burns figures state that to achieve Plan Bay Areas stated goals of additional housing a “transit town center” must have 85.800 housing units. Civic Center is designated a “transit town center” priority development area. It spans a 1/2 mile radius of the SMART station.. I believe it currently has 1,165 units based on the city’s 2011 count. The implication is an increase from 1,165 to 85,800 housing units. Leaving other cities as reference points aside, wouldn’t you agree this is preposterous? What is the implied units per acre of 85,800 units within a 1/2 mile radius? One might hope more reasonable quotas are assigned to Marin diminishing the numbers somewhat. Perhaps 200 additional units in this area before 2040 might be reasonable, but the objectives for transit town centers are just preposterously high. Even if they halve the 85,800 number we’re talking about Terra Linda looking like a dense built up city. How many storys would that need? Ultimately this comes down to a question of trust one has in the officials making these decisions, approving the numbers and the architecture. ABAG and MTC do not seem to be trustable based on what they’re proposing. The City of San Rafael’s council does not seem trustable and has repeatedly against community interests as documented in this blog posting. Like you, we want to get the facts into people’s hands so that they can make a fair assessment. The transit lobby is small but highly connected and well informed. Our belief is that given the facts, most do not want to see Terra Linda urbanized with 5 story buildings. Please answer the questions above so we can build out a common story we can both agree on – beyond technical facts. People can then get beyond judging from what’s technically accurate. The number, 85,800 units, is for the entire Bay Area, not for Terra Linda alone. And 200 units, what you say is reasonable, is around what the city, through the Station Area Plan and Plan Bay Area, is aiming for east of 101. Consider also that large portions of the Civic Center area cannot or should not be built on (Gallinas Creek, highway 101). Other parts immediately adjacent to 101 should not be built on as they have freeway pollution (the freeway and at least 500 yards around it shouldn’t have residential built there for health reasons). What density do you arrive at if you put say 5,000 units in the remaining area, and how many storys would be needed? Any way it’s sliced this is not a minor amount of housing being added, it’s at minimum doubling it and potentially quintupling it. Residents simply don’t want this kind of plan hanging over their head. It might be different if local politicians consistently defended residents wishes in prior committee and council meetings. I believe that David’s point is that the density proposed is neither massive nor urban. If you look at the example he gave, these kinds of densities can be (and already are) accommodated that fits into the character of the community. If people could tone down the rhetoric and the hysteria, maybe we could have a reasonable conversation on how to create communities where we don’t have to drive everywhere. But NO ONE is talking about that. Sorry Wendi, 60-90 units per acre IS urban. There is no two ways around it. Much of the current controversy is about affordable housing densities but the real RADICAL element is not government subsidized housing, it is the upzoning of neighborhoods from 4 units per acre to up to 90 units per acre. Yes, this is part of the plan. You can read it for yourself. People are only talking about RHNA. There is nothing “wrong” with urban areas or Smart Growth when it is a result of free choice. It is wrong to eliminate suburban densities using fake science and greenwashing to justify growth. Let people live where they want to live and utilize democratic process to institute changes to our community. The “Urbanize Marin” crowd will soon find out how small of minority they are. 5,000 units – this is the rough midpoint of what’s proposed by MTCs Station Area Planning Manual – concentrated into ~250 acres, more than tripling the amount of existing housing in the area. I will leave it for others to judge if this is radical or massive and can be accommodated while retaining the character of the community. How is that so different? We’re splitting hairs here about not being Manhattan densities. Feel free to do the math, but we’re easily in the ballpark. No, this is not splitting hairs. Me: “Plan Bay Area’s measurements are about per-parcel densities.” You: “Plan Bay Area’s measurements are about overall area densities, including areas that aren’t residential or on the parcels in question.” It’s like feet vs. meters. That’s not a minor quibble. As I said before, no planner or zoning code uses QSSR’s measuring stick. QSSR is wrong, full stop. I’d be happy to get John Burns or the National Association of Realtors to email you if you need someone not me to corroborate. David, I lived in one of the densest metropolitan areas in the USA- The Los Angeles Area. Few homes or apartment buildings exceeded 3 stories. Our lots had 3 foot setbacks and there were few unpaved services. The air was choked with dust and pollution. It never got dark at night. Everything was an orange glow after dark. I seldom saw the night sky. When I moved to Marin, I was shocked at the how dark it was at night. The air was clean and finally, I had the opportunity for a garden, build a treehouse for my kids and build a boat. I had to relearn how to care for a lawn. Now the Board of Supervisors and the Plan Bay Area wants to take this away from our family in the name of “the environment” . High density degrades the quality of life for many. Why can’t we have cities AND suburbs? Thus far, most of the arguments made against Plan Bay Area seem to be a little ingenious. QSSR is making the same argument as O’Toole in his comments. My 2-story apartment building in Palms has a density of about 120 units per acre. Is Palms denser than Manhattan? The argument against building near freeways due to pollution is a red herring; there will be pollution associated with any roadway, freeway or not. This is just a gimmick to make things look worse. There are probably reasonable criticisms of PBA; for example, in my opinion, in its detailed designation of PDAs it presupposes a level of knowledge that no one has. San Rafael downtown yes, but the Sunset District no? It also fails to meet its own goals on housing affordability. But no one seems really concerned about those issues. Pollution is definitely worse where there are a higher concentration of cars. However, high levels of nitric oxide and C02 equivalent are disproportionately found in dense urban areas despite low per-capita VMT (see Vancouver-based study below).